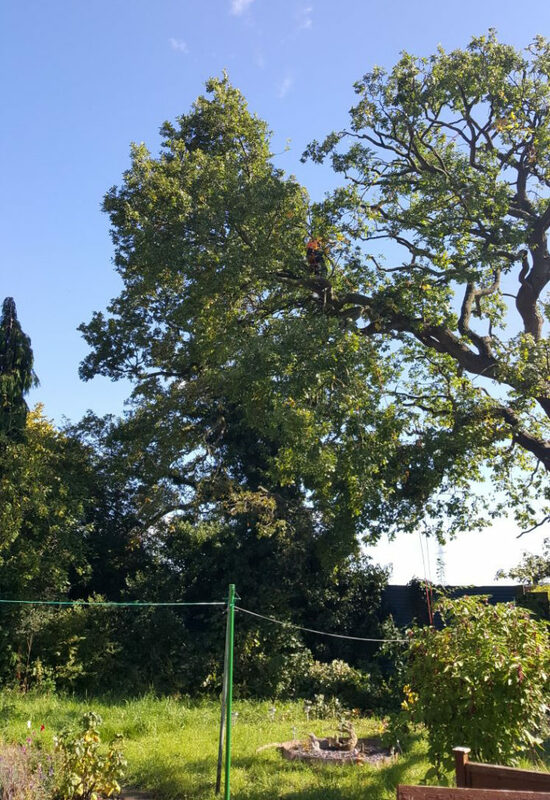 I received a request from a property management agent in Coventry, to assess an Oak tree which was located in Bedworth, at the rear of a property. The tree had shed a large limb onto a neighbouring business’s storage area damaging property. A third of the total crown, a span of approximately 19m had fallen. They had been informed the tree needed to be removed; however, they wanted a second opinion. My assessment of the situation and tree. A company had been called out to clear the fallen limb, after crushing a mobile caravan, owned by the neighbour who declared the tree unsafe and in urgent need for removal. 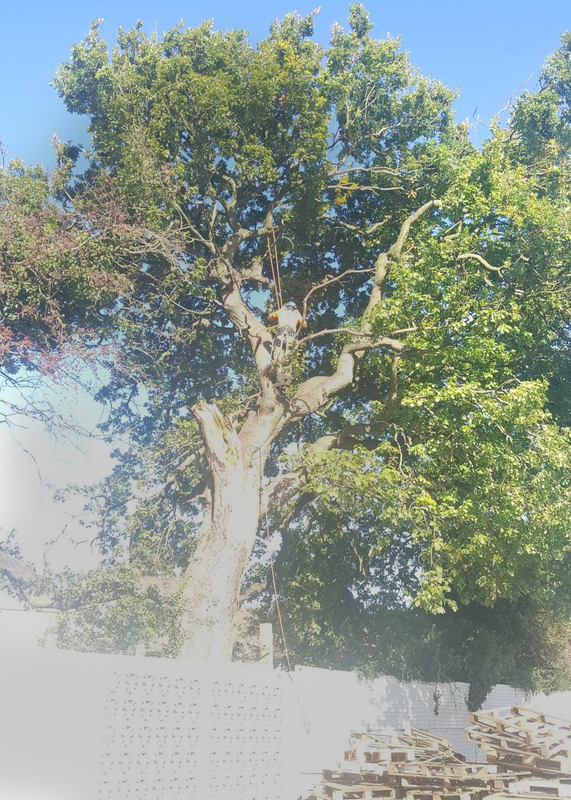 As a fully qualified and certificated tree inspector I carried out a detailed visual tree assessment and found no reason to assume the rest of the tree was unsafe from any physiological defects as observed from the ground. To further clarify my assessment, I requested that I undertake an aerial inspection. The property management agent has used my company in the past to undertake both tree surgery and tree surveys, so asked for my opinion based on my assessment from the ground. I advised that a reduction of the crown of 1.5-2m would be sufficient to alleviate any adverse wind loading, with a further reduction in the next 5-7 years to reduce the overall spread allowing the tree to react to the new wind loading conditions. 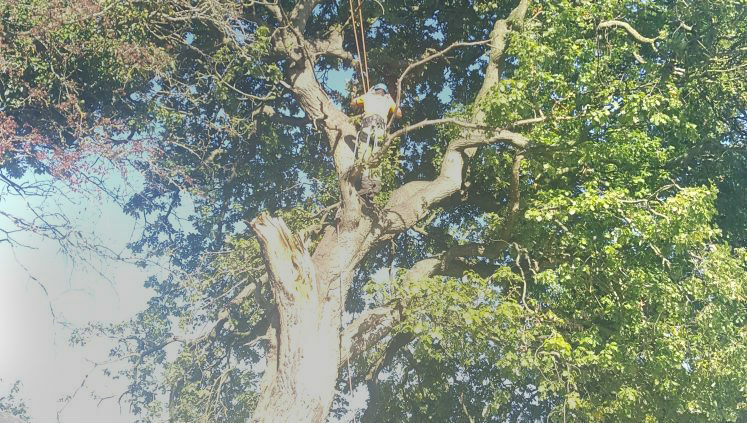 The customer was happy with my summary and listened to my advice that without an aerial inspection of the wound from the limb failure and the rest of the crown, I wouldn’t be able to give the most informed analysis of the tree condition. Approval for the work was granted with an agreement to undertake more severe action if found necessary. Once I had climbed the tree my suspicions of summer branch drop (a seemingly random shedding of large limbs by mature trees in good condition through the summer months in calm weather) was confirmed by there being no evidence of any rot or defects in the limb union that was shed. I did, however, find a poor union above the wound for the majority of the top of the crown and the 2 spar limbs which led me to reduce the spar limbs by 3-4m. 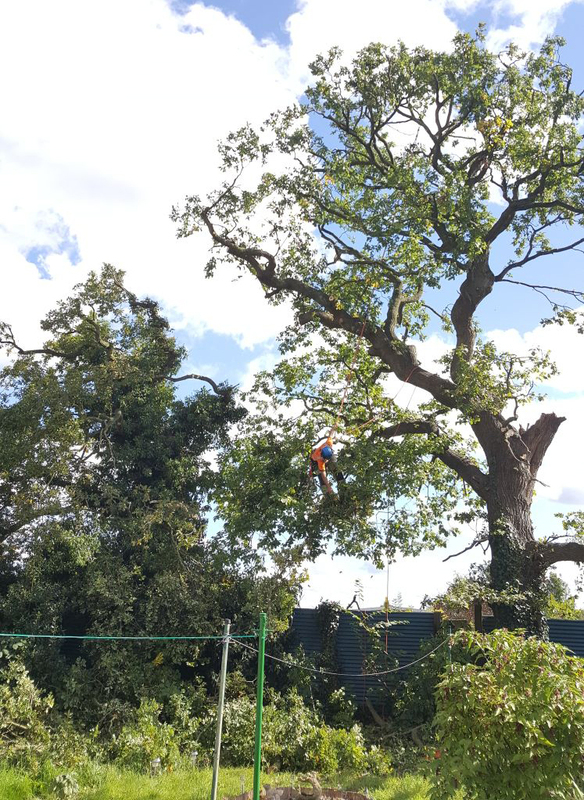 The customer was delighted that the tree did not need removing and that it can be retained with a management plan in place. The residents are pleased that the tree has been saved, and retained a good shape.